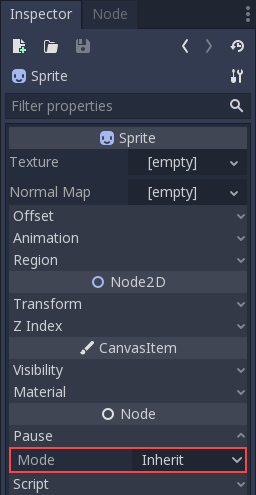 By default all nodes have this property in the "Inherit" state. This means, that they will only process (or not) depending on what this same property is set on the parent node. If the parent is set to "Inherit" , then the grandparent will be checked and so on. Ultimately, if a state can't be found in any of the grandparents, the pause state in SceneTree is used. 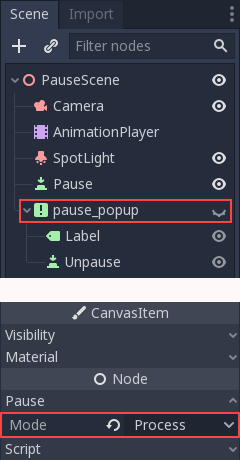 This means that, by default, when the game is paused every node will be paused. Just by setting the root of the pause popup to "Process", all children and grandchildren will inherit that state. This way, this branch of the scene tree will continue working when paused.